Now that the John, Paul, George and Ringo have joined the iTunes revolution, what about the rest of the iTunes holdouts? Believe it or not there are still many famous bands and solo acts that refuse to put their music on Apple's iTunes store. Most believe Apple's policy of refusing to sell whole albums instead of single song downloads is the problem, while others object to how Apple pays artists. In late 2008, when musicians such as AC/DC and Kid Rock were opposing Apple, some wondered if an anti-iTunes revolution was coming. That never happened, however, and artists continue to follow the fans to iTunes, which boasts a base of 160 million paying users in 23 different countries. Now that The Beatles, one of the best-selling musical acts of all time, has joined iTunes, how long can less famous musicians such as AC/DC, Def Leppard and Kid Rock hold out? Here's a look at the five biggest iTunes holdouts to date. Despite offering its content digitally on places such as the Verizon Wireless Music Store, the famous Australian hard rock band isn't interested in iTunes. "We don't make singles, we make albums," AC/DC guitarist Angus Young told The Telegraph in late 2008. "If we were on iTunes, we know a certain percentage of people would only download two or three songs from the album -- and we don't think that represents us musically." AC/DC's most recent album, Black Ice, was leaked on torrent sites prior to its release; at the time, however, many torrent users commenting on The Pirate Bay pledged to still pay for the album after its official release. 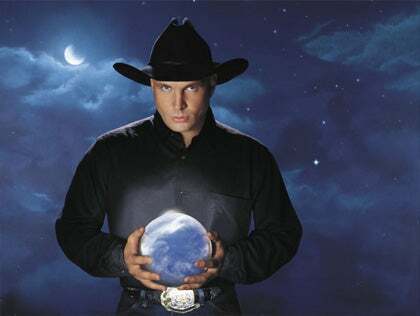 Garth Brooks is one of the best-selling country artists of all time and his nine studio albums are beloved by non-country and country music fans alike. Some of Brooks' well-known hits include songs such as Friends in Low Places, The Thunder Rolls and Red Strokes. But you won't find anything by Brooks on iTunes. Why? Because iTunes is killing the music industry, Brooks told USA Today in 2009. "Until we get variable pricing, until we get album-only [downloads], then [iTunes is] not a true retailer for my stuff, and you won't see my stuff on [iTunes]," Brooks said. 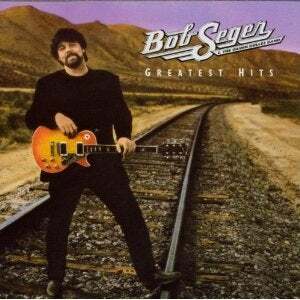 Don't take those old records off the shelf if you're a Bob Seger fan. The American singer-songwriter behind hits such as Old Time Rock & Roll, Like A Rock and Night Moves doesn't play well with iTunes. You can only find two songs by Seger on iTunes: The Little Drummer Boy and Roll Me Away. The latter is on there as part of the Armageddon soundtrack, and you'll only get it if you buy the whole album. Seger, it seems, isn't a fan of single-song downloads. You can't find his music on iTunes, and very few Seger singles are available for purchase on Amazon's digital music store.